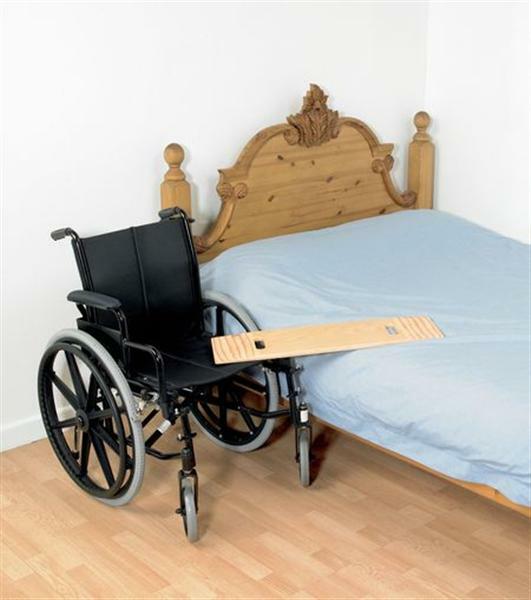 This laminated wooden transfer board is used to transfer a patient between bed and wheelchair etc, avoiding strain for the carer. The top is varnished to facilitate transfer, and the ends are thinned to slide under the patient. Great product, my hubby recently had an ampution through the knee and this transfer board was well received. He thinks it is great.